Ever wonder what art thieves do with stolen priceless art? Me too. You can’t buy a home, car or anything tangible with the stolen art. Its not currency. Why rob a museum when you can rob a bank? The security is similar. Most major works stolen can never be displayed anywhere. They can’t be easily resold or insured. The New York Times has an article today on the company with the best success rate for recovery of stolen art, Art Loss. Apparently, some museums and collectors are unable to afford the usually high cost of recovery. The company’s founder, Julian Radcliffe says recovery can require elaborate and expensive sting operations. He states the agency is not profitable due to the high cost of operation. Art Loss runs an extensive database of stolen art utilized by multiple law enforcement agencies including the FBI’s art theft division, (read more on the division’s work at the link). The Guardian newspaper runs a regular feature on art theft and has recently been covering the theft from The Netherlands of major works by Picasso, Monet, Matisse and Gauguin by a Romanian group. These thieves may have burned the priceless works once they found themselves unable to resell them. 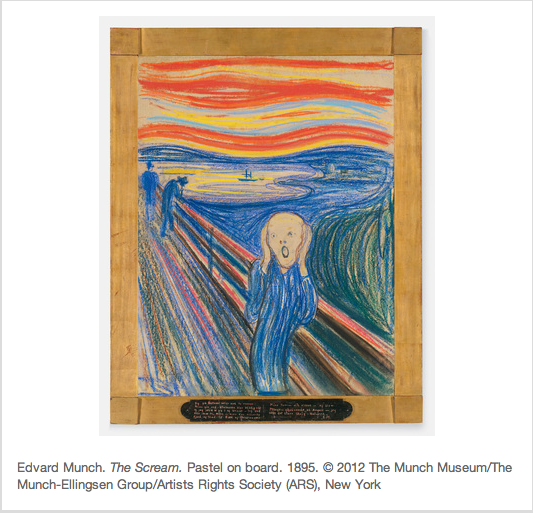 The theft of Munch’s The Scream from Norway generated much publicity and the thieves were soon caught. The painting was recovered. How did these thieves think they were going to dispose of the painting? It’s so well known posters of The Scream are sold at Overstock.com and many other stores. Evidently, some of these guys are so smart they can thwart sophisticated security but are too dumb to know what to do next. Unfortunately, not all are so dumb and the The Thomas Crowne Affair is not a true story. This entry was posted in Uncategorized and tagged Art Loss, Art theft, MoMA, New York Times, The Guardian, The Scream, The Thomas Crowne Affair. Bookmark the permalink.